Sadie Cuthbert is a Trainee Solicitor in Burnetts’ Corporate Law team. Sadie Cuthbert is a Trainee Solicitor in Burnetts’ Dispute Resolution team. As part of her training, Sadie will spend time in a variety of practice areas before completing her 2-year training period. Currently working in the Corporate team, having previously worked in the Dispute Resolution team. Prior to her training contract, Sadie was a Paralegal in Burnetts’ Court of Protection team where she helped Court of Protection clients manage their financial and property affairs. A University of Hull graduate, she joined Burnetts in 2016. 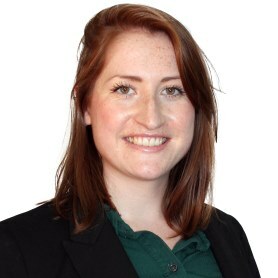 Since completing her Law degree, Sadie has worked as a paralegal elsewhere in Newcastle and also as a volunteer for the Teesdale Citizens Advice Bureau and the Personal Support Unit in the Newcastle Combined Courts where she supported litigants in person facing the justice system without a lawyer, aiming to reduce that disadvantage and enable them to access justice. Sadie plays the guitar and is a keen runner, completing the Great North Run twice in support of various charities, including Leonard Cheshire Disability. In September 2017, Sadie began her training contract with Burnetts and hopes to qualify as a solicitor in 2019.